Meant to Live: Do you agree with Justin Timberlake? Would you let your child play football? Do you agree with Justin Timberlake? Would you let your child play football? 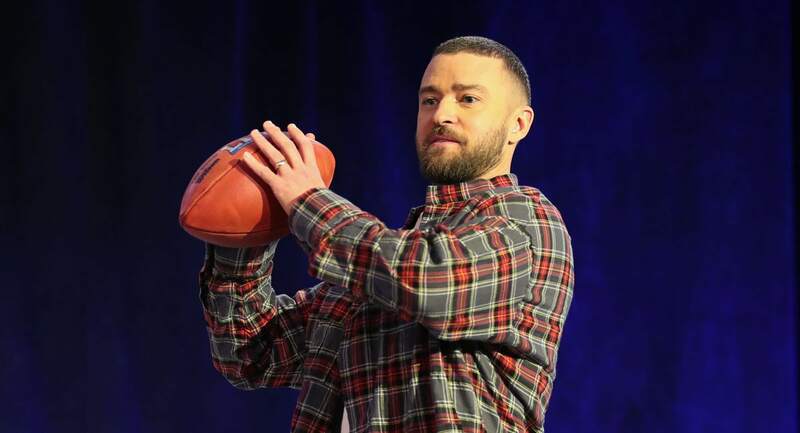 Three days before the Super Bowl, when asked at a news conference if he would support his son "running some routes in the NFL," Justin Timberlake responded, "Uh, he will never play football. No, no." Right after saying that, he seemed to realize, Dammit...I'm at an NFL-sponsored event. Probably shouldn't have said that about football! and he followed up by saying, "My main objective is that he become a great person. And, if he wants to get into the arts or sports, then yeah, I would fully support that." Of course Timberlake's statement made waves among the football-loving community, some people angrily responding on Twitter, "And my son will never listen to Justin Timberlake." I have to admit that I agree with JT's sentiments. I wouldn't want my figurative child to play football either (I apologize to my proud former-high-school-football-playing boyfriend, who probably cringed at this statement 😖). It's not because I have anything against football or football players. It's because, if my own mom's protectiveness over me is any indication, I will probably be a pretty protective mom myself if I ever have kids. And, when research last year on 202 former football players (in the NFL, CFL, and even college and high school) found evidence of brain disease in almost 90 percent as a result of concussions — yeah, no thank you! On Feb. 2, Emily Kelly, the wife of former New Orleans Saints player Rob Kelly, wrote a column for the New York Times, saying that football destroyed her husband's mind. "Professional football is a brutal sport, (Rob) knew that. But he loved it anyway. ... What he didn't know was that, along with a battered body can come a battered mind," she wrote. Emily met Rob in 2007, five years after his NFL career was over, and said, since she's known him, he's always had trouble sleeping and was prone to mood swings and depression. As time went on, it got worse — he lost his appetite and dwindled down to a gaunt 157 pounds (for a 6-foot-2 man). He would become agitated and paranoid, demonstrated obsessive compulsive behavior, and would ramble about things that didn't make sense. In January 2013, Rob was awarded total and permanent disability benefits. "His benefits were listed as 'degenerative,' which establishes that his 'disability arises out of league football activities' and had manifested within 15 years of his last season," wrote Emily. "The examining clinician found that 'repeated concussion is very likely to have caused Mr. Kelly's neuropsychological dysfunction.'" Upon joining a Facebook group of 2,400 women connected to former or current NFL players, Emily realized how common Rob's symptoms were - symptoms that were consistent with the degenerative brain disease chronic traumatic encephalopathy. "Many of us, including me, are convinced our husbands suffer from the disease," said Emily. "I don't think the public has any idea how widespread this problem truly is. Rob and I hope that, in telling our story, we might help other families." With stories such as Rob Kelly's coming out, Justin Timberlake isn't the only parent who, probably in an attempt to keep his child from going through what these NFL players have, doesn't want him playing football. CBS Sports reports that former President Barack Obama has also said, "I'm a big football fan, but I have to tell you, if I had a son, I'd have to think long and hard before I let him play football." For me, because of genetics and not because of head trauma (unless the doctor dropped me on my head as a baby and I didn't know about it), I have anxiety disorder and I have suffered from bouts of depression in my life. I know how horrible it is. And if playing a sport increases the likelihood of mental illnesses such as these and a brain disease that is even worse, then I have to say it's just not worth it! Here's another take. Those that make it to the college and pro levels are certainly at risk. Not so much in youth football or even high school football and so few of them move beyond that level. What one should consider is what can be learned from being a team member. When you belong to something greater than yourself you learn more about life. Those lessons will stay with a young person throughout their life.